With winter in full swing, my perfect night involves crawling into bed, snuggling deep under the covers with a hot water bottle, and dreaming the night away between fresh sheets. My sheets are all sorted (thank you very much, IKEA), but I’ve noticed the kids could do with a bit of a makeover. Rather than just heading to Target, I’m thinking something stylish, unique and super colourful. Quilts take up so much space—after all, it’s the perfect opportunity to really bring the room to life (read: get in a few stunning Insta snaps). 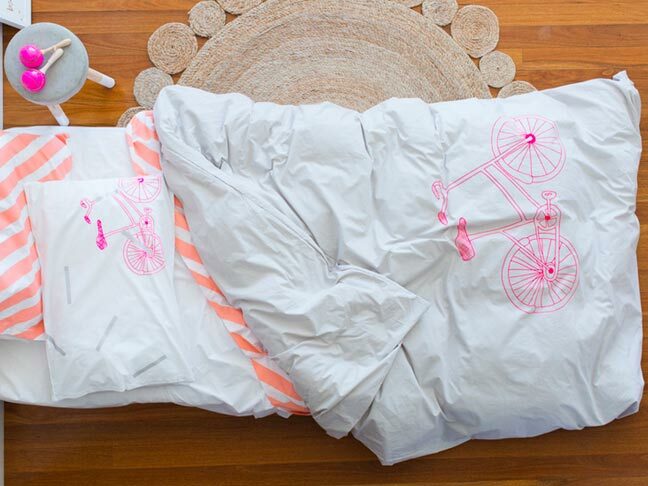 Here are four local children’s bedding brands that offer something really special. 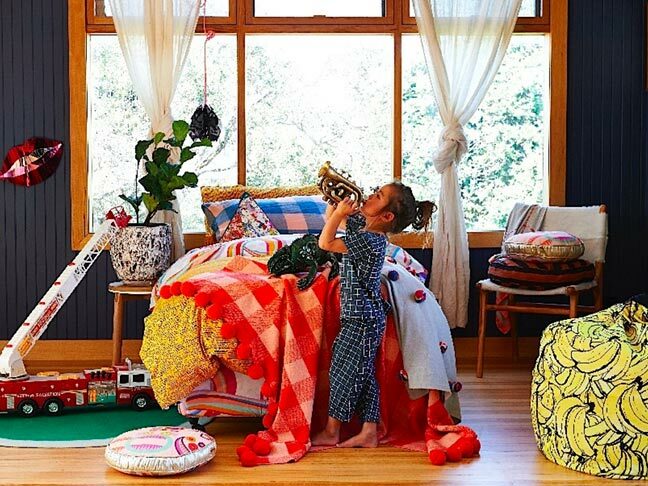 Founded in 2012, Kip&Co’s range of range of quilts, linens, and PJs for kids and babies are now cult faves with interior designers and stylists. Their banana jammies, in particular, take cute to the next level. Shimmering goldfish. Metallic beetles. Cotton-candy pigeons. Welcome to the world as seen by Nina and Karen Altman. 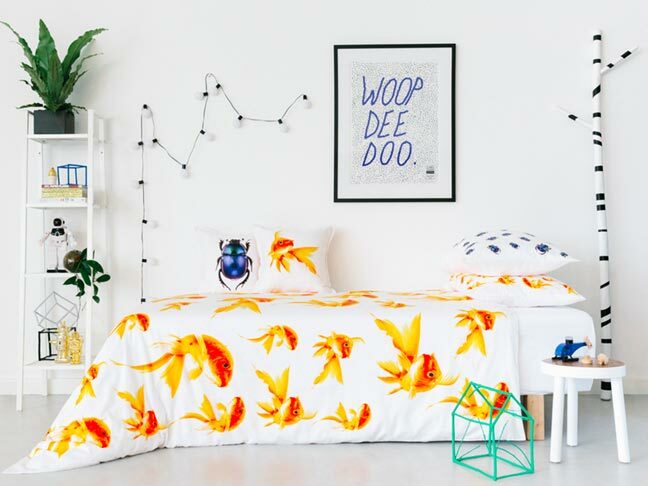 With a background in design, the pair specialise in children’s sheets that are fabulously exuberant and quietly clever at the very same time. If the idea of curling up in the Amazon jungle surrounded by kaleidoscopic critters sounds fun, this is your jam. 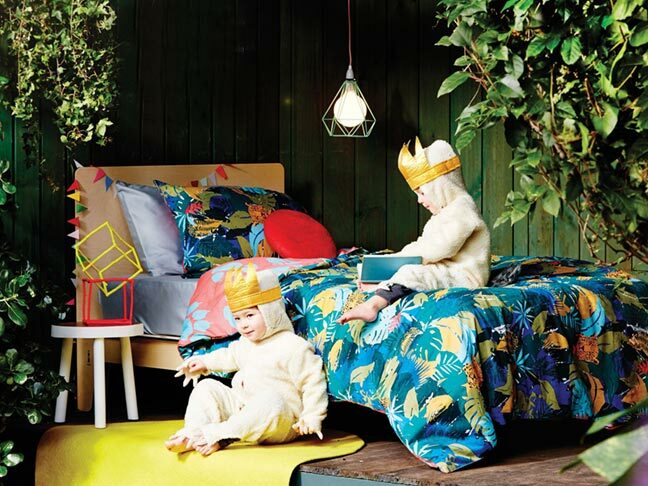 Think 100% cotton quilts, sheets, and cot sets in riotous colour designed by mum of toddler twins, Inga Rodd. 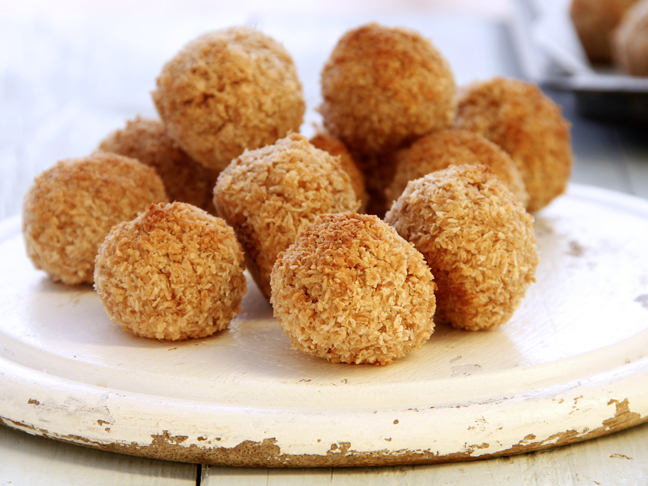 Hands up if you love simplicity? And colour? And Scandinavian design? Well, you’re in luck. Feliz combines all three into top-notch, easy-care organic cotton bedding that’s quirky, modern, and utterly irresistible. Jade Warne is the Hipster Mum, the eldest daughter in a family of 14 children raised by nuns on the beaches of Sydney, Australia. Just kidding! There were actually only seven of them, all raised by the kind of super-mum who makes nuns look like slackers: entrepreneurial, talented, kind, beautiful, and scandalously stylish. As the high-powered (read: high-strung) kid of the bunch, she studied finance and pitched stories to magazines on the side, eventually winding up at Marie Claire and Women's Health. These days, she offers a creative guide to parenting at Hipster Mum. 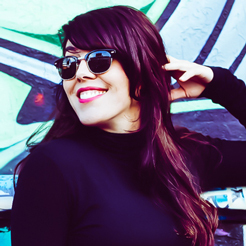 Check out Hipster Mum on Instagram, Facebook, Twitter and get liking already!